A posterior bulging disc, or herniated disc, occurs when a spinal disc beings to bulge. A herniated disc can be extremely painful and may limit mobility. Doctors usually reserve surgery for posterior bulgin disc injuries that lead to neurological issues. Lifting heavy objects can cause a posterior bulging disc. A posterior bulging disc can make standing up from a seated position and walking painful, limiting mobility. 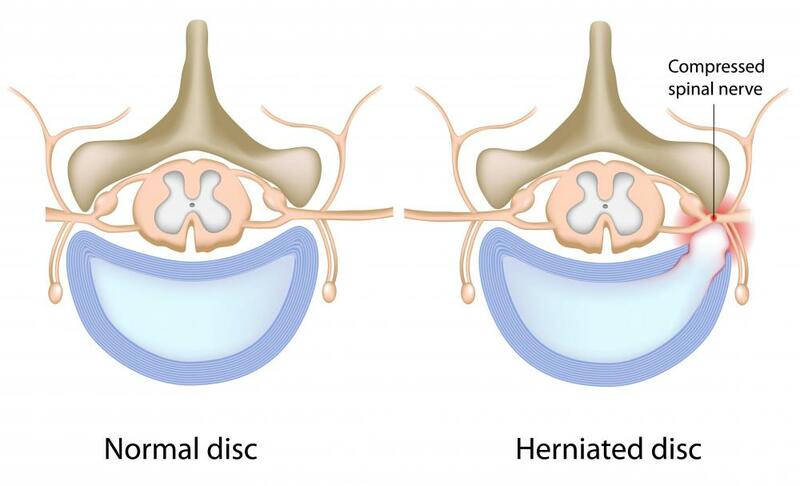 A posterior bulging disc, also known as a herniated disc, occurs when a spinal disc that sits between vertebrae begins to bulge due to compression. This condition can be painful and may end up limiting the mobility of the sufferer. A posterior bulging disc occurs at the back of the spine opposite the stomach, and it is often the result of forward bending. People who do a lot of heavy lifting are more likely to experience this type of condition, and treatments can vary depending on the severity of the injury. In some cases, a person suffering from a posterior bulging disc may experience no symptoms at all and may not know the disc is bulging. The disc will repair itself in this situation and require no medical attention. More serious occurrences of a posterior bulging disc can also heal on their own given enough time and rest, though the most serious occurrences generally require medical attention in the form of physical therapy, spinal decompression, or even surgery. Surgery is usually a last resort for these injuries, as the process can be invasive and may not end up preventing occurrences of the bulging disc in the future. Nerve damage is another risk, since the disc is so close to the spinal cord and associated nerves. 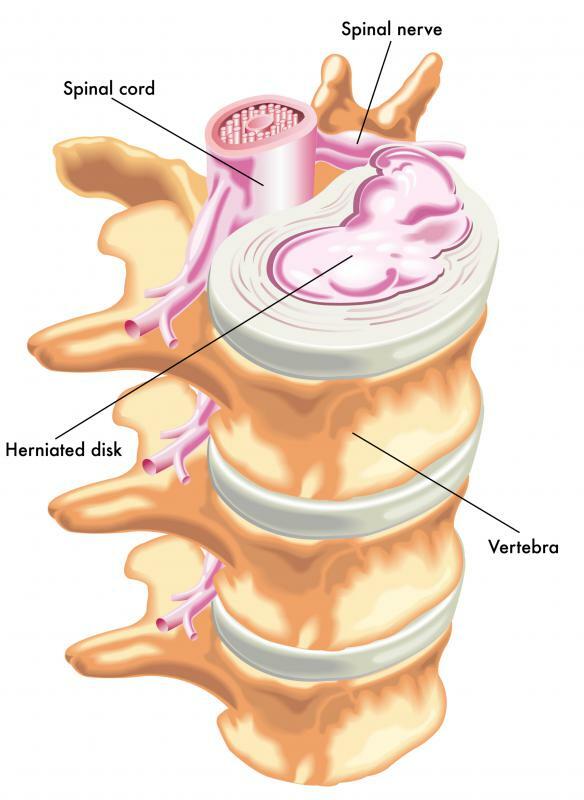 The spinal disc is a soft membrane that is filled with a gel-like fluid. When the spine compresses or begins to operate in an abnormal way, this spinal disc can begin to press outward from the vertebrae that are essentially crushing it. This can lead to a disc rupture, which is a more serious condition that will need to be addressed surgically. A posterior bulging disc that has not ruptured can still lead to pain and limited mobility, especially if the disc begins to press on a nerve. 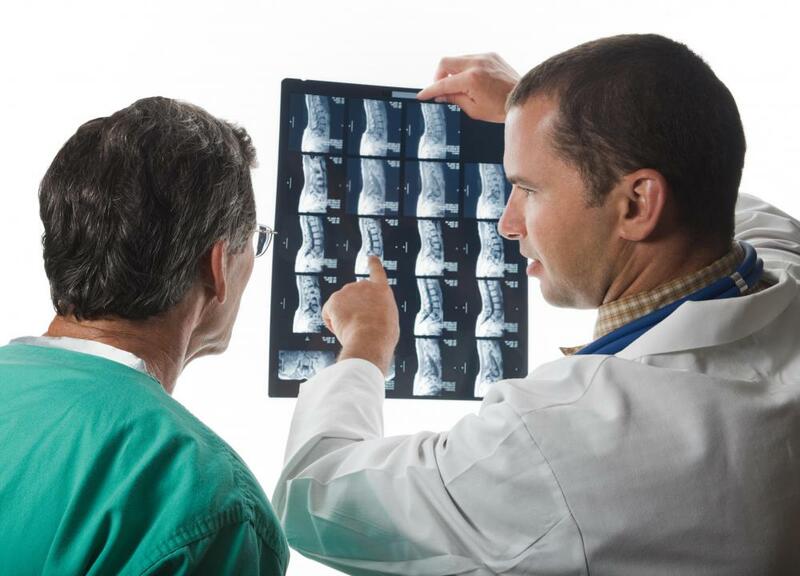 Doctors usually reserve surgery for posterior bulging disc injuries that lead to neurological issues. When the disc presses on a nerve, the part of the body that is serviced by that nerve can be affected. 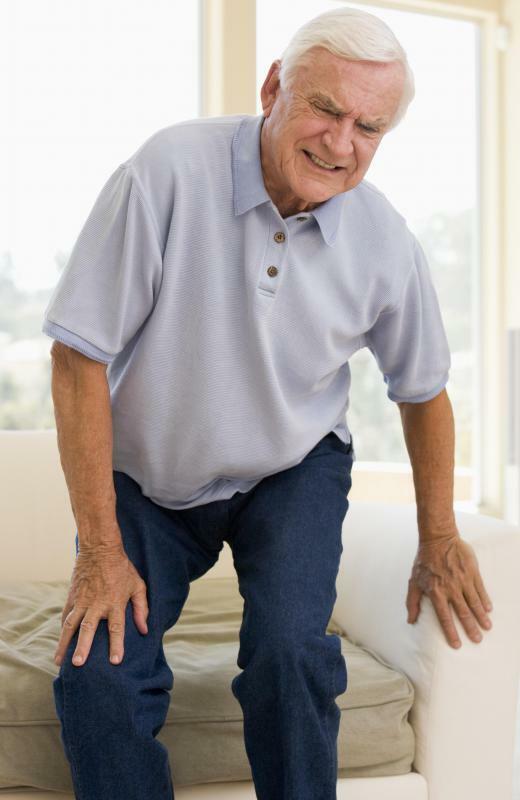 A person may experience pain, numbness, tingling, or even a loss of mobility. This is considered a more serious problem, especially if the patient loses mobility or feeling in the affected area. Surgery will be used to relieve pressure on the nerve, but the success rate of the surgery can vary. In some cases, patients may still experience neurological symptoms even after a successful surgery. What Is a Posterior Disc Herniation? What Factors Affect Discogram Costs? My nephew has an episode of painful bulging disc every six months or so. Between episodes, he seems to do fine - no pain. He's very active in sports like softball, golf, and basketball. Sometimes his disc starts bulging out after a long drive, a long time at the computer, or for some unknown reason. But when it starts acting up, he has to stay home from work, rest in bed with muscle relaxants, or get a treatment at the chiropractor or physical therapist. He is in real pain so there must be a nerve that is being compressed. In about 4-5 days he is much better. Anyone who suffers from posterior bulging disc should take care when lifting anything heavy. We all have been told how to lift things - don't bend from the waist, rather use your legs and keep your back straight. It's hard to remember to do this, but if you get into the habit, your chances of developing a herniated disc go way down. When I had small children, I was always forgetting and lifting them up the wrong way. Cross my fingers - but so far I haven't had any herniated disc trouble. My husband had spent an afternoon at the shooting range, and the next morning he could not get out of bed. He had x-rays taken and an MRI was done. These showed that he had some herniated discs. Going target shooting was nothing new to him, but for some reason this time it really set something off. Thankfully he did not have to go through any surgery. He did have several weeks of physical therapy, and was encouraged to continue some exercises at home. He is a lot more aware of how he moves and what he does to prevent this from happening again in the future. Some people aren't as lucky when they have bulging discs and they must have surgery, so we are thankful the physical therapy worked so well for him.